You get cool dry air even in a downpour because Buick's High-Air Intake Ventilation System, as this sketch shows, has two traps to catch and drain off rain water. Here's where you can really do something about the weather in every season. 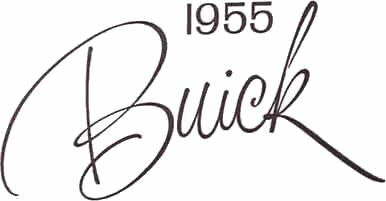 In hot weather - Buick's High-Air Intake Ventilation System brings in as much as 1000 cubic feet of fresh air per minute through the screened intake at the base of every 1955 Buick windshield. Since this air comes in over the hood, it's cooler, cleaner and freer from road heat and dirt. In cold weather - Buick's Weather Warden heating system brings you two-direction heating at a price you usually pay for one. Warm air comes from both the central unit under the driver's seat and from the dash unit near the right door. A blower fan at each location speeds warm-up and circulation. High-Air Intake Ventilation - greater heating capacity - individual controls for both - prove that Buick gives you more comfort all through the year. Easy-to-reach controls for both driver and passenger. Push the knobs up and warm air flows in. Pull them down, and in comes cool air. With Buick heating and ventilation, you get a complete change of air several times a minute, even with only a single vent pane open to dispose of "used" air.